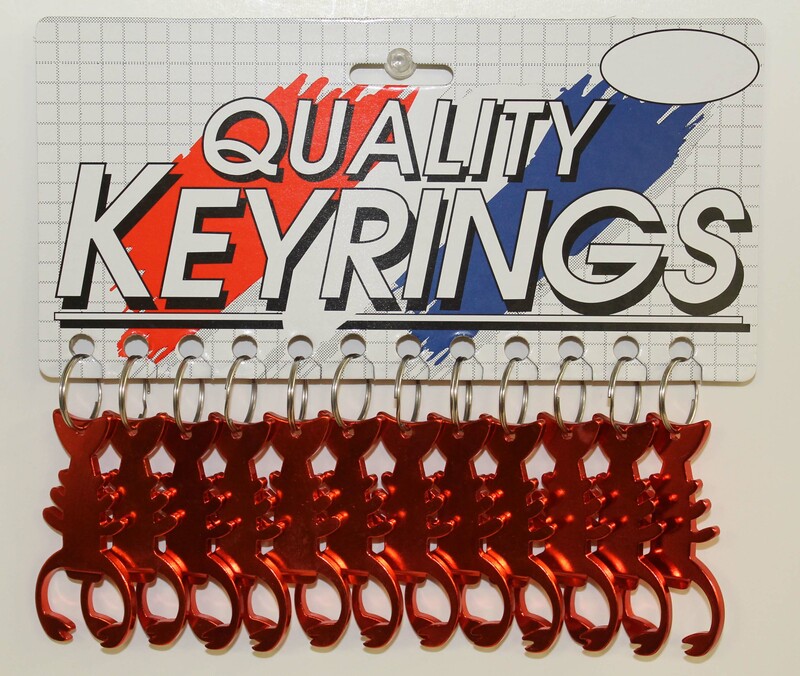 These LOBSTER BOTTLE OPENER KEY TAGS are made from anodized aluminum and have a 1" split ring attached. The lobster measures 3" X 1 7/16" (across the opener). Of course, they are available in RED only. Packaging is bulk.